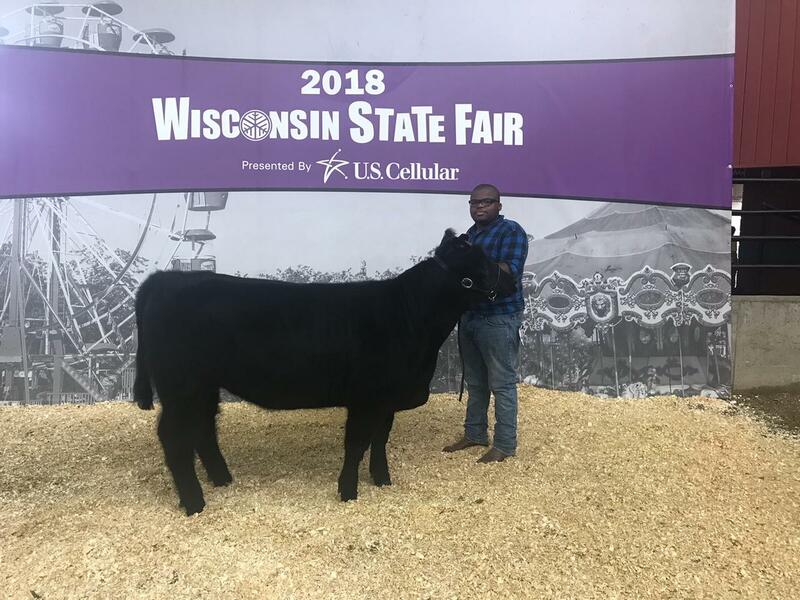 Kiara LIttle showing Teddy Bear at the Wisconsin State Fair this week. Senior Nathan Hawkins showed Violet, one of Vincent's two heifers at state fair. Hawkins plans to study veterinary medicine. Students took their turn Wednesday with their young sheep. They’re organized by breed, for example Hampshire and Southdown, and then by their weight. While some can weigh up to 150 pounds, Vincent High School student Kiara Little is waiting her turn to show her diminutive freshly-shorn creamy-colored sheep named Teddy Bear. “He only weighs 90 pounds, so he’s really little,” Kiara says. Until she enrolled at Vincent, Kiara’s love of animals orbited around dogs and cats, “I want to be a veterinarian,” she says. MPS’ Vincent High School on Milwaukee’s northwest side sits on 70 acre and is home not only to sheep, but goats, chickens, a couple of heifers and a horse. The menagerie expanded Kiara’s horizons, “Now I want to get into farming veterinarian with these types of animals instead of dogs and cats,” she says. But her immediate focus is on state fair. For months Kiara been feeding and taking Teddy Bear for daily walks around the school grounds. This was Arianna Taylor's first experience showing sheep. While Kiara is the veteran among her classmate – she showed her first lamb at state fair last year – Arianna Taylor is a newbie, but a seemingly unflappable one. Arianna stepped up to tend two lambs when a classmate needed help. She relished shearing their wool and wants her sheep to look magnificent. “This morning I rinsed him off and washed with special sheep soap….and then because he has a lot of fur on his legs I have to brush his fur up so it gets poofy,” Arianna explains. Gail Kraus says when Vincent opened in the late 1970s, the school had a dual focus, “Agricultural sciences and natural resources and the other was international studies,” she says. Over the years those programs all but disappeared. Kraus is one of the people bringing the school’s ag program back to life. “I am now the agriculture administrator and we’re going to continue to transform Vincent to Vincent High School of Agricultural Sciences,” Kraus says. Today students can choose from multiple pathways including agribusiness, food science and horticulture. Kraus watches proudly as Vincent students parade their sheep in the sawdust-carpeted ring for the judge’s review. It’s the kind of hands-on experience Kraus wants all Vincent students to have, “Just them standing like this and then they have to control the animal and they’ve never done it before,” she says. Vincent High School junior Santiasha Smith shares her love of sheep with visitors. You probably remember this was Kiara Little’s second state fair. This year she placed 10th in her division. That’s progress, she says. “I did better than last year. Last year, he (my sheep) almost got out of my hands and almost ran around,” Kiara explains. The day after State Fair ends, Vincent High School’s school year begins. Kiara will be diving into advanced animal science with the benefit of this state fair building block. 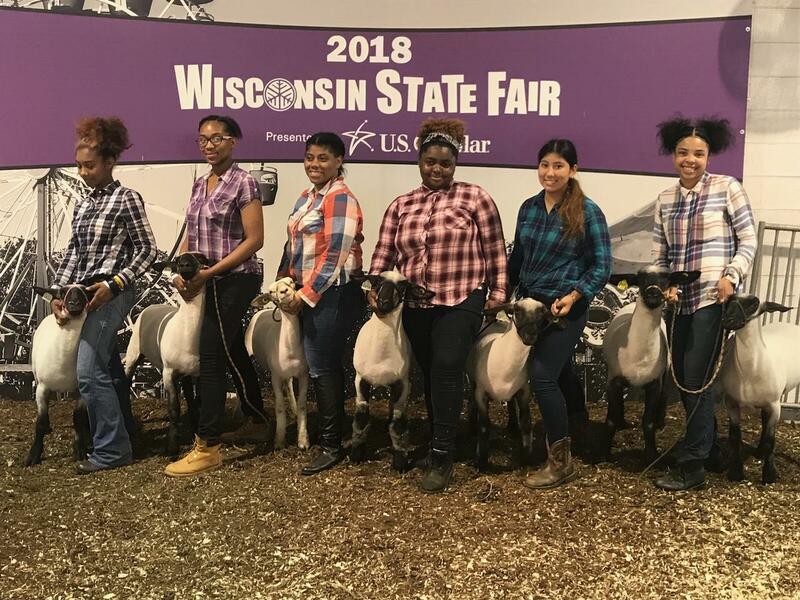 Vincent High School's 2018 state fair sheep show team: (left to right) Tia Bell-Anderson, Aniya Mitchell, Kiara Little, Santiasha Smith, Paola Montero and Arianna Taylor. There’s a national movement afoot to grow more food in cities. And the Milwaukee area stands out as an urban agricultural hotbed, as raised gardens multiply in backyards, empty lots and community spaces. 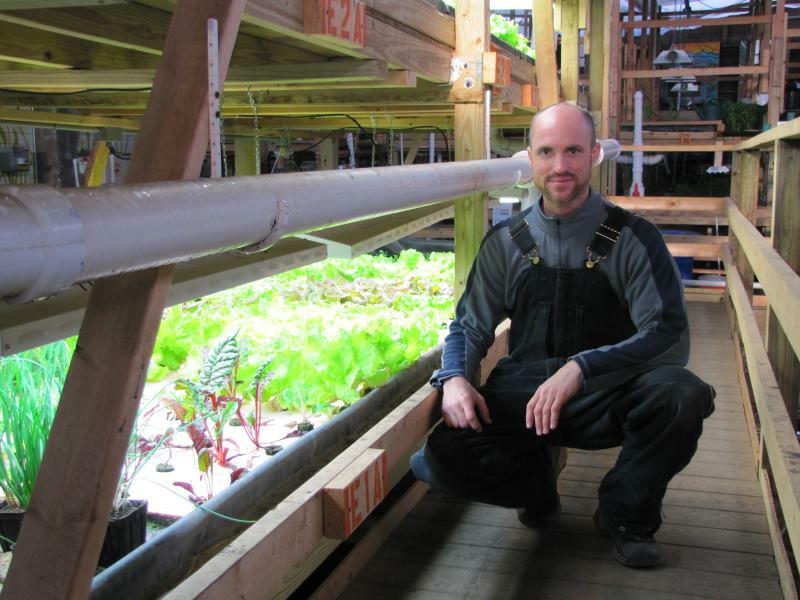 Another promising piece of urban food production is called “aquaponics”. They’re systems that combine fish and produce. On this final day of our Project Milwaukee series on the local food economy, Environmental Reporter Susan Bence introduces us to local innovators using this fishy model to inspire future leaders.